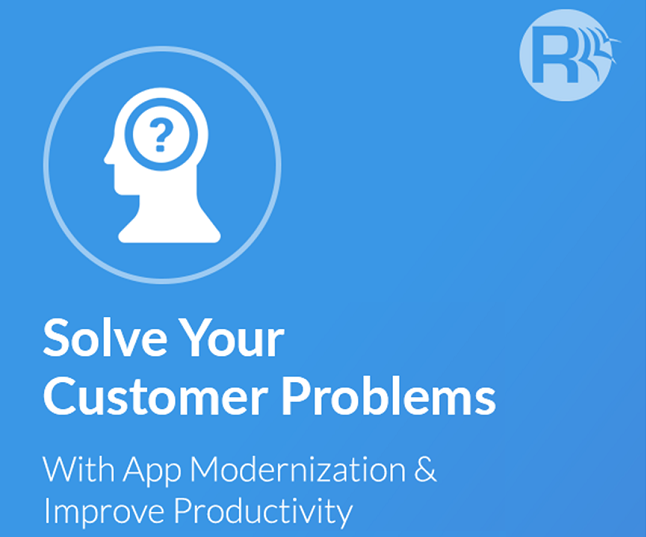 Hear from Rishabh Software’s App Modernization team about the typical customer problems and how app modernization can help them bridge this gap, along with Rishabh’s success stories of best practices in assisting the customers to survive in the competitive marketplace. Since inception, we have witnessed technology innovation at the forefront of innovation and agility. 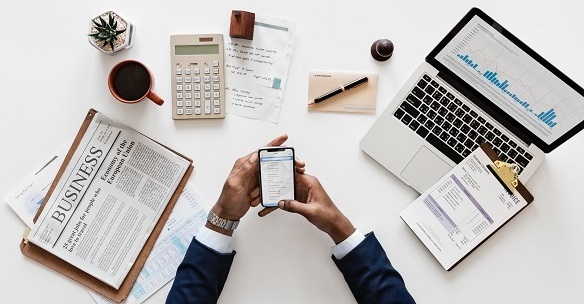 New applications fuel an organization’s growth and productivity, automate critical business processes and provide a competitive edge. Though, the cutting edge technology of yesterday may become today’s legacy application. While, they might still support business processes, yet their effectiveness might be in question with the legacy software language and platforms posing potential risks for growing organizations. App Modernization is an approach that uses modern methods and technologies to unlock the latent value of the organization’s IT spectrum. It improves the interoperability between the existing legacy systems, newly-migrated business functionality, and related external systems. Further, it helps preserve the business value of legacy assets and its intellectual capital while concurrently reducing the costs and complexity for the application portfolio of the organization. 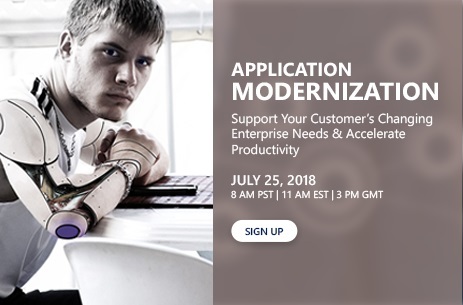 Last week, we hosted a webinar titled “Helping Customers with App Modernization Services” on Wednesday, July 25, 2018, with Kandarp S., from the App Modernization Team of Rishabh Software. Rajesh K. part of Rishabh Software’s Sales Team focusing on channel partnership and business growth initiated the webinar with a quick overview about Rishabh Software and our Channel Partner Program, with associated benefits for attendees by leveraging our app modernization proficiency. Kandarp initiated his talk with the discussion about the customer problems, including the application of legacy technology tools & practices, specialized skill set to manage the technology resources, along with lack of centralized reporting mechanism. Followed by a quick survey of the participants on what they see as the potential challenge for their businesses, he shared a detailed overview of App Modernization capability of Rishabh Software. Kandarp shared three live case studies of recent project work completed by the team, along with the technical and business benefits for the said customer. While at it, Kandarp also discussed the four primary approach to App Modernization, and how organizations can leverage it to achieve a faster go-to-market, shorten their cycle time, be agile, scalable and achieve accurate resource optimization. To further support the attendees, Kandarp even shared a cheat sheet on app modernization approach which would help them understand and educate themselves better on this methodology. As the regular feature of the webinar, the team shared a one-time partnership engagement offer with the attendees. The session concluded with responses to questions around benefits realized by our customers with app modernization, why partner with Rishabh Software for App Modernization around specific outcomes, and more. If you joined us for the live session, we sincerely thank you and hope you enjoyed it. We would also like to acknowledge your questions and for participating in our survey. We hope to see you again at the next webinar. In case, you missed it, well here is your opportunity to catch the action yet again, click here to view the recording. 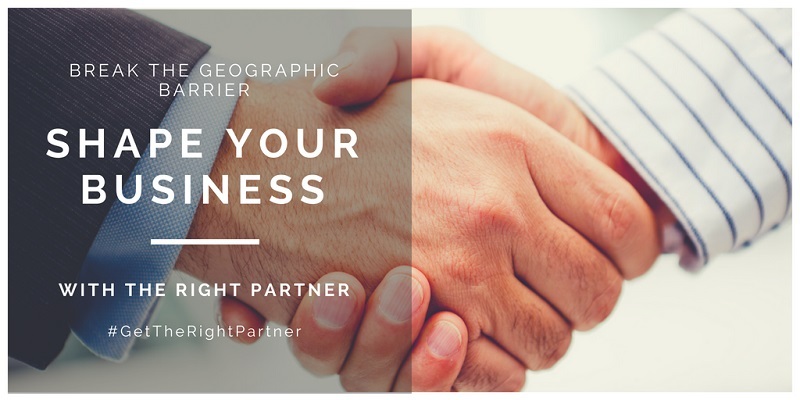 Reach out to us at [email protected] in case you have any questions regarding our Partnership Program.